Upon registration of the meetup and participation of a Free Association Event, you agree to pay any associated fee for events, agree and certify that you are at least 18 years of age, and understand that there are risks of injury associated with any recreational activity, including volleyball, as well as health and other risks due to excessive consumption of alcohol, and that you assume the risks associated when you join. In that regard, you acknowledge that you fully understand that volleyball and other Free Association activities including, but not limited to, volleyball, social events or other activities (each an "activity") involve risk and dangers of serious bodily injury, including permanent disability, paralysis, and death, and understand these risks and dangers may be caused by your own actions or inactions, the actions or inactions of participating in the activity, the action or inactions of others participating in the activity, the conditions in which the activity takes place, or the negligence of the "Free Association affiliates" named below. You fully understand there may be other risks and social and economic losses either not known to you or not readily foreseeable at this time. You fully accept and assume any and all risks associated with your participation in or presence at any Free Association events and activities. You agree to release and discharge Free Association and its agents and affiliates from any and all claims for injuries, losses, costs, or damages, including negligence, sustained during or resulting from your participation in or presence at any and all activities or events associated with Free Association. You release, discharge and covenant not to sue Free Association and its affiliates, their respective administrators, directors, agents, members, owners, officers, volunteers, employees, authorized representatives, subcontractors and other participants (each considered as one of the Free Association "affiliates" herein) from all liabilities, claims, demands, losses or damages on your account caused or alleged to be caused in whole or in part by the negligence of the Free Association affiliates or otherwise including negligent rescue, operations and you further agree that if, despite this assumption of risk and indemnity, you, or anyone on your behalf, makes a claim against any of the Free Association affiliates, you will indemnify, save, and hold harmless each of the Free Association affiliates from any litigation expenses, attorney fees, loss, liabilities, damage, or cost which may incur as a result of such claim. Furthermore, you release, discharge and hold harmless Free Association and the Free Association affiliates from any and all liability that may arise directly or indirectly at any time, by reason of any injury, death, damage, loss, or expense incurred in connection with (i) your participation in the sport of kickball itself or other Free Association activity, or (ii) your attendance at any social event or gathering that may be organized, authorized, or paid for by the Free Association affiliates, individual kickball players, or any league or division organized under the Free Association affiliates or their rules, including but not limited to "happy hours", bar functions, field trips, tailgates, and any pre-game or post-game events or gatherings. Note to Nonmembers: Any persons participating in or present at a Free Association activity or event (a "participant"), whether or not members of Free Association, agree (by their participation in or presence at the Free Association activity or event) to defend, release, indemnify, and hold harmless Free Association, its affiliated companies and licensors, and its and their respective volunteers, administrators, directors, employees, agents, authorized representatives, and subcontractors from all liabilities, claims and expenses, including without limitation reasonable attorneys fees, arising from such person's participation in or presence at any Free Association activity or event. Except to the extent that such disclaimers are expressly prohibited by law, Free Association disclaims any and all loss, damage, or liability arising out of or relating to your participation in or presence in all Free Association activities. Participants in Free Association events or activities where alcohol is served certify that they are 21 years of age or older. Has your friend group dried up or boring as hell? Are you new to the area and looking for something fun to do? Well, guess what? Free Association is your solution to both these problems! 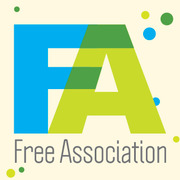 Free Association is a social group that enjoys doing all the fun things the city has to offer. As a member of this group, you can attend events such as happy hours, wine nights, social sports, board game nights, dance lessons, club nights, camping, beach trips, festivals and so much more! In this group you will be exposed to DC’s hidden gems while being introduced to a great group of people. Plus, we are always open to suggestions so if you have a great idea for an event, message us and we would be happy to add it! We would also encourage you to check out the photo section to view the variety of exciting events we have done in the past as well as getting a feel for some of the awesome people you’ll meet in this group. If your primary motivation in joining a Meetup is to have a good time, then you obviously need to join us! New friends are always welcome. By joining this meetup you agree to follow the rules and the indemnification clause located in the above hyperlinks numbered "1.)" and "2.)" New in town #1 Happy Hours and Outings in the DC Metro Area!